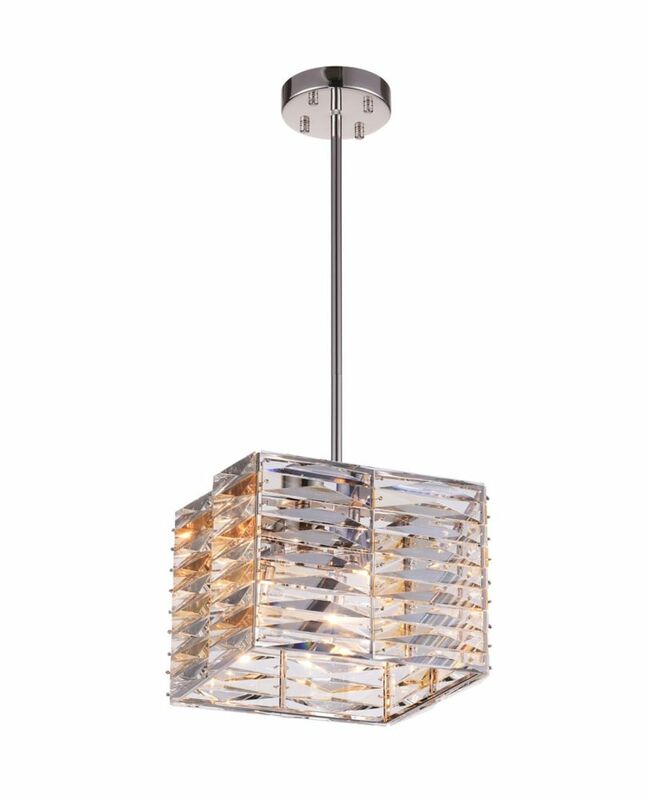 This breathtaking 4 Light Chandeleir with Bright Nickel Finish is a beautiful piece from our Squill Collection. With its sophisticated beauty and stunning details, it is sure to add the perfect touch to your dicor. The Contemporary Beauty Collection is well known for quality, style and value; this contemporary bath vanity is no exception. Expertly pairing a charming satin nickel finish and energy saving halogen bulbs, this fixture is both functional and picturesque. This well-rounded bath vanity is sure to satisfy your indoor lighting needs. Eglo's Noventa LED Chandelier is a contemporary fixture suitable for any location. Its matte nickel finish with clear white glass makes it appropriate to blend in with other modern fixtures. Whether it's to decorate a room or complete a home, this energy saving light will surely please the looker's eye! Ideal for over the kitchen table, dining room, living room, foyer or staircase, there's nothing like it! The Hampton Bay Oxford collection of fine, wall-mounted outdoor LED lanterns brings together state-of-the-art LED technology with a distinct, modern decorative style. The weather-resistant, rugged black finish blends well with any exterior colour scheme. Textured clear water glass adds slight diffusion to create a warm bright light that illuminates only the area where it is needed without spilling out in every direction. The 5-watt LED chips included inside this fixture operate at a fraction of the cost of incandescent bulbs and never need replacing. Squill 11-inch 4 Light Chandeleir with Bright Nickel Finish This breathtaking 4 Light Chandeleir with Bright Nickel Finish is a beautiful piece from our Squill Collection. With its sophisticated beauty and stunning details, it is sure to add the perfect touch to your dicor.